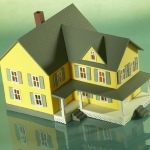 Q: Will there be forced home inspections under the Affordable Care Act? A: No. The law provides grants for state home-visiting programs for expectant and new parents. The programs are voluntary and participants can opt out any time.